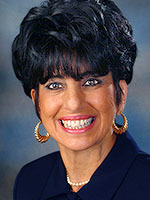 Dr. Coury is a graduate of Spartan Health Sciences University where she earned her Doctor of Medicine degree. She completed a Family Medicine and Community Health residency at University of Massachusetts-Worcester Family Practice. She practiced at the Greater New Bedford Community Health Center for six years, the Community Health Center of New London, CT, and most recently at Prime Medical Associates. She is board certified by the American Board of Family Medicine.